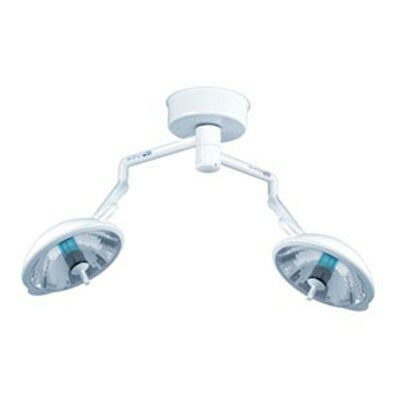 The Bovie System II Duo Surgery Lights offer a variety of surgical lighting capabilities for the highest degree of office and surgery room capability. These surgical light systems are a dual head mounted style that comes in 16 and 20 inch light head diameters, they produce up to 102,000 Lux (9,500 foot candles) at a Kelvin color temperature of 4,000 degrees to allow for above average tissue rendition. The System II Duo series offer enhanced visibility during procedure by being engineered with multi-faceted reflectors that will virtually eliminate shadows. All System II series are standard with a 3 year limited warranty (excluding all bulbs and LED’s). Duo ceiling mount assembly Approximately 104.5 lbs (47.4 Kg). Bovie Medical is a leading maker of medical devices and supplies as well as the developer of J-Plasma®, a patented new plasma-based surgical product that has the potential to be a transformational tool for surgeons. Luvis M300 w/ Mobile Stand Specifications We offer special pricing & volume discounts for Government, GPO, Health System, & Healthcare Facilities! Contact us for details.